Tombola Bingo iPhone App | £20 Free in 2016 | Bingo Apps. The Tombola bingo iPhone app an amazing real money bingo app for all iPhone users. We recommend installing the Tombola bingo iPhone app as we’re sure once you’ve played a few games on it you’ll love it just as much as we do! The Tombola bingo iPhone app has a choice of 5 rooms with 3 colours available for each room. 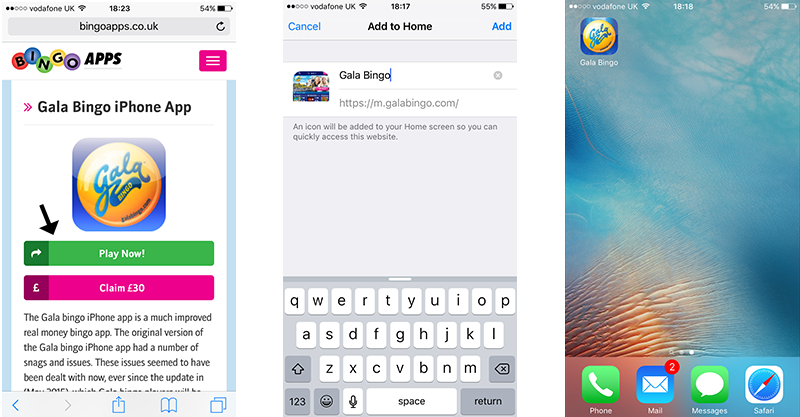 Tombola are Britain’s biggest bingo site and the Tombola iPhone app is a top quality extension of the desktop site. Registering with Tombola Bingo, Claim Your Bonus – It could not be easier to install the Tombola bingo app for iPhone. To get started you will need to be a customer of Tombola, click the link below to get a free £20 as soon as you register and deposit £10, yes that’s right deposit just £10 and you will be instantly credited with an extra £20 to play with (we do mean INSTANTLY as well!). You can deposit via Paypal too so you don’t even need your card to hand, it could not be easier! To Install the Tombola Bingo iPhone app on your device, follow the three clear steps shown on the diagram directly below. Before taking these steps it is best to make sure you have already signed up for your account. To begin with the install, select the button above once again, then proceed with the steps in the diagram. Device compatibility: The Tombola bingo app requires a minimum of iOS 5.1.1. Compatible devices include iPhone, iPad and iPod touch. 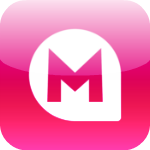 Optimised for iPhone 5, iPhone 6 and iPhone 6+. As soon as we started using the Tombola iPhone app we knew we were going to love it. 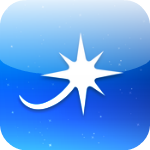 The app is so easy to use and you can chat to other players whilst you play. It is important to select “keep me logged in” as it logs you out a little too quickly if you don’t. The app shouts the numbers as a usual bingo caller should and lets you know what you are playing for if you lose track of the game. The recent updates to the app have been excellent with the addition of extra games like cinco and bingo roulette (only available at certain types of the day). The Tombola bingo iPhone app is one of few apps to accept PayPal as a payment method making it quick and easy to make a deposit even on the app. The only thing we find a little odd about the app is the home page having a latest news feed on there, most of the other bingo apps just take you straight into the lobby. You need to select the type of game you are looking for from the icons across the top .These show you the games that are currently available for you to play. Other that the Tombola bingo iPhone app for standard bingo but lacks a little bit of variation on the bingo, such as deal or no deal bingo that a lot of the other apps offer. The Tombola app for iPhone comes with lots of games, promotions, bonuses and other exciting features. 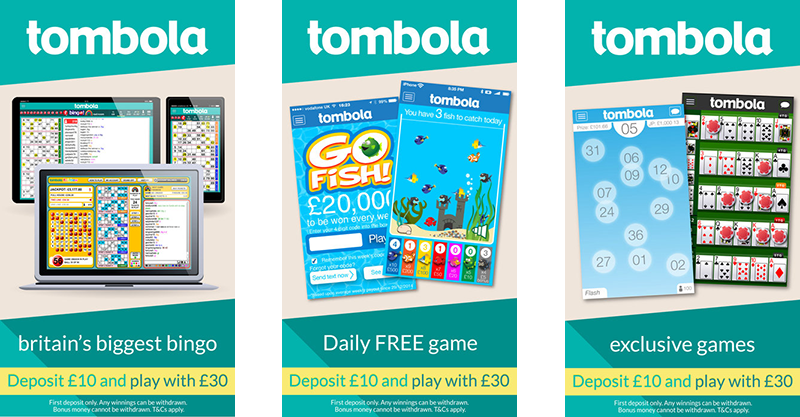 If you’ve already got an account with Tombola Bingo, you can download the app and sign right in, plus the app offers the exact same chat rooms, prizes and jackpots as the main desktop site. There are loads of amazing prizes to win. In fact, every week around £7 million is won by several thousand lucky players. As well as this, the app features a total of nine unique bingo rooms, including one with daily free bingo that gives away £30,000 in prizes every week. If you want to be part of Britain’s biggest bingo site, you should definitely download the Tombola Bingo mobile app for your iPhone today, especially since there’s a 200% welcome bonus waiting for you. If you don’t have an iPhone or any other iOS device, you can download the Android app or you can play on the mobile website.